Hi there! Have you seen all the CUTE files released over at Kadoodle Bug Designs? 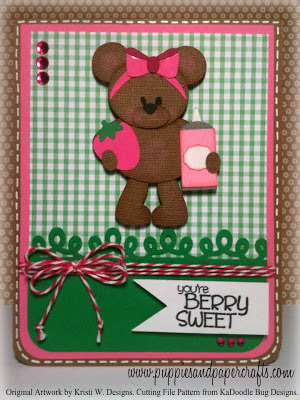 I LOVE the Banana Split Bears set. Its just too cute! I had to have it! 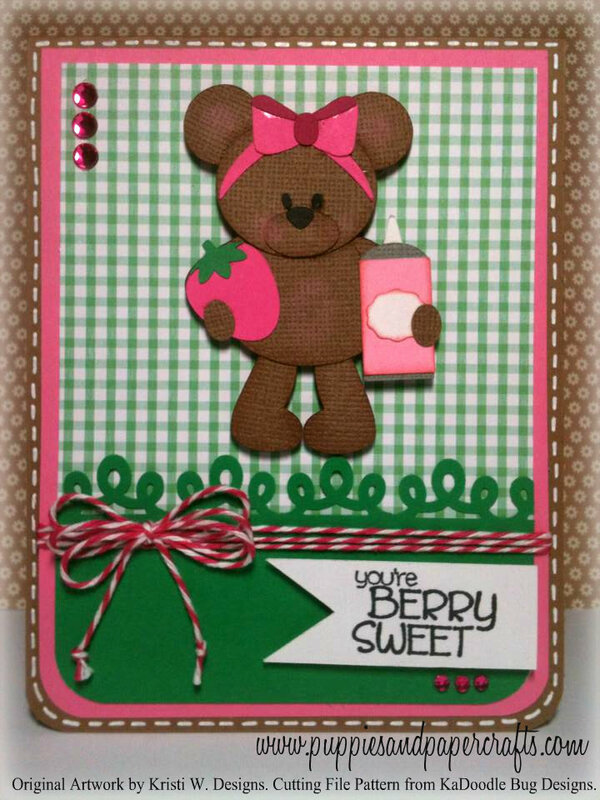 Here is a card I made using the girl bear! Isn't she cute!?!?! I just love her! Who doesn't love strawberries and whipped cream?!? YUMMY! Original artwork by Kristi W. Designs and Cutting file pattern is from Kadoodle Bug Designs.